Get 10% off your next order at OLPRO with this exclusive promotional discount voucher code. OLPRO proudly present this promo code to all TroopScout users: serving members, ex-forces, family and friends. Click ‘Get Code’ to get the voucher code and open the OLPRO website. Add your chosen products to your cart. When you have finished shopping, click on the shopping trolley icon in the top right corner to reach your Shopping Cart. Click ‘Checkout’ in the bottom right corner. On the next page you’ll find a box on the right side which says ‘Discount’. Type in the TroopScout voucher code into the box. Click ‘Apply’. Once your discount has been applied, fill in the customer information section on the left. Click ‘Continue to Shipping Method’ at the bottom. Select your preferred delivery method. Click ‘Continue to Payment Method’ at the bottom. Fill in your payment method information, and then click ‘Complete Order’ at the bottom of the page to finish. 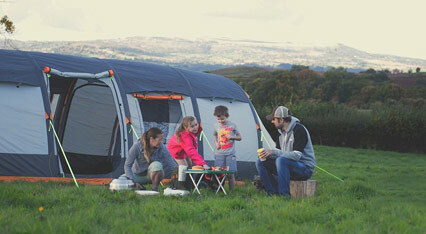 OLPRO is a British camping specialist retailer based in the beautiful Malvern Hills. Founded in 2011, OLPRO impressively create their own designs and build all of their products too, to ensure that they can offer the best prices onto their customers. Focussed on reasonable prices and quality products that last, OLPRO are quickly growing to become a big name in the camping world. OLPRO specialise mostly in equipment for camping and camper vans. They have a great selection of camping furniture and sleeping bags, tents, camper van awnings, windbreaks, tableware, and camper van/caravan accessories, which are all categorised into simple drop down menus for easy browsing. Behind the scenes, OLPRO are backed by a dedicated team of experienced and passionate experts who are just as devoted to the outdoors as you are. That’s why they work so hard to build fantastic gear that will take care of your needs, because they know what that involves. OLPRO also strive to design great looking colourful as well as quality ranges, because whoever said that camping and camper van equipment has to be dull and boring! WIth a live customer chat service, free UK delivery and even the option to buy now and pay later with Klarna, OLPRO is a great place to discover all the best products for your next adventure in the Great Outdoors. Be sure to subscribe to their YouTube channel to check out the latest product videos and follow their Facebook page for regular offers and competitions!